Kids love to dip! This flavorful white bean dip is packed with satiating protein and fiber and perfect for dipping pita and veggies! We're in a deep freeze of January when everyone seems to have the sniffles. I live firmly by the belief that one of the best ways to stay healthy (aside from hand washing!) is through food. Eating healthy foods truly can boost the immune system when you need it most--and perhaps there's no better food for health than kale. It contains cold-fighting vitamins A, C, K and zinc PLUS protein, calcium and omega 3s. Before you roll your eyes when I tell you that we start most mornings with a green smoothie, I'll first make my case on how easy it is to do (seriously!). Baby kale and strawberries store right in the freezer, so there's no need to keep fresh produce around. Plus, I'll make a big blender full and use it for two days in a row (just give it a whirl, and you're good to go!). One of my most successful strategies with my kids has been to start easy on the kale and work your way up. 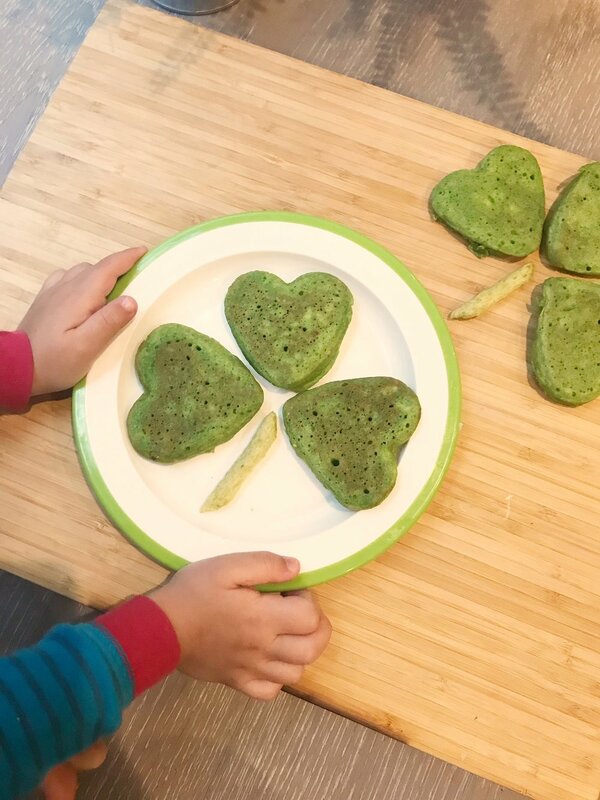 Since kale has a stronger flavor profile than spinach, go light on the kale on your first batch, and gradually increase it as your kids get used to the taste. I hope your kids like this version as much as mine do! (makes 2 8-ounce smoothies) Ingredients: a handful of kale leaves, stems removed or baby kale 3 frozen strawberries 1 banana 1 cup almond milk (sub regular milk) (optional) 1 teaspoon honey* Directions: Mix all ingredients in a blender until smooth, add some water if it is too thick. Store in the refrigerator for up to two days (reblend before serving since ingredients will separate).